On Thursday we welcomed ten students from each of the first schools to Hugh Sexey's for the yearly annual dance festival. 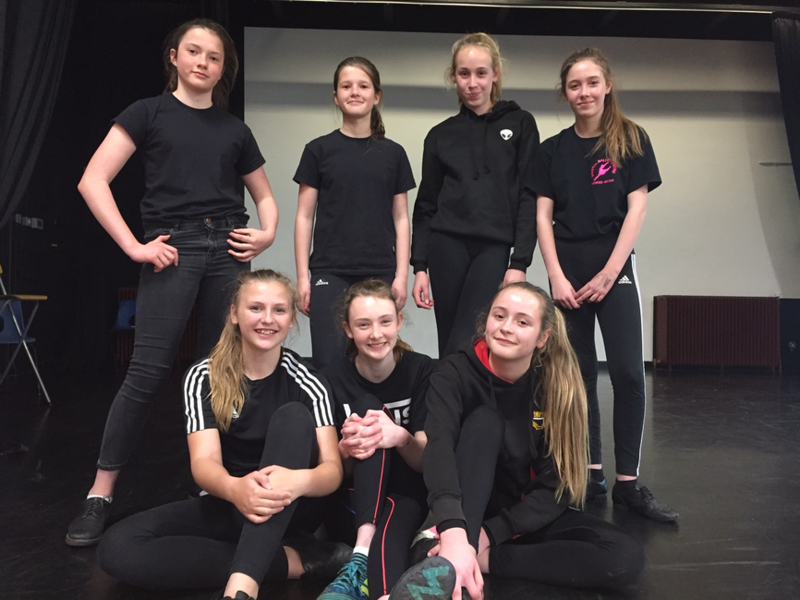 For the first time ever the dance festival was led by our Year 8 sports leaders. They started with a warm up session, which included sporting fitness moves such as star jumps, squats, etc.. They then performed a dance they had developed in a short space of time. After their performance they split all the students into groups of 7/8; each group had to create a dance routine based around Olympics themes, such as running, football, archery, boxing, etc.. They only had 30 minutes to come up with their dance routine, and the tricky part was to make sure all the students were involved and were able to follow and perform the rountine. After they had practiced, they all then went up onto the school 'stage' and performed in front of the other students as well as parents. It was lovely to see a lot of parents watching, and was particularly pleasing to see the quality of dance the sports leaders manage to get the students to perform. Well done to all the first school students; they all engaged well and participated with a smile on their faces. Well done to the 7 sports leaders below - you were all superb, a credit to the sports industry and our school.